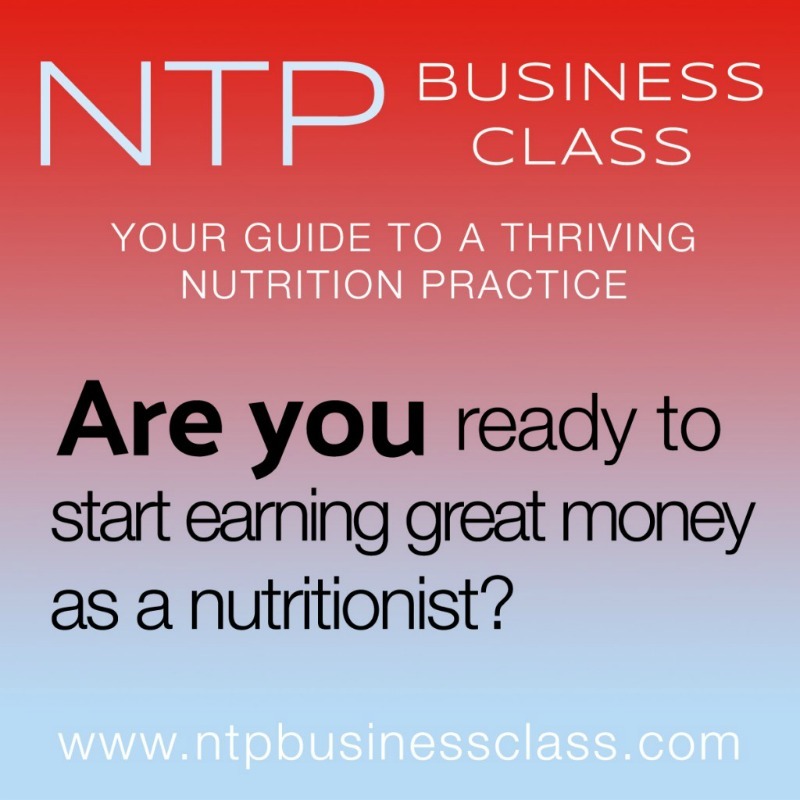 NTP Business Class: Grow Your Nutrition Practice Fast! Nobody I know takes a course in nutrition to be good at business. NO ONE. But the fact remains, being a good business person is as important to a thriving nutrition practice as being a good practitioner. I liken it to to the two wings of an airplane. One wing represents you expertise as a practitioner and the other wing represents getting clients in the door! Your practice will never get off the ground without the two wings in place. I loved the education I got through the Nutritional Therapy Association. Absolutely LOVED it. But if there was one part of the class I thought was lacking, it was the business end of things. 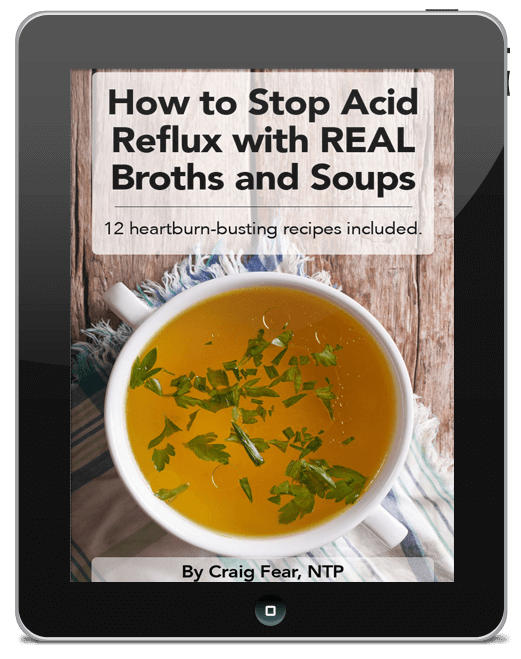 And I hear this all the time from not only other Nutritional Therapy Practitioners (NTPs) but also other wellness practitioners such as nutritionists, fitness trainers, chiropractors, health coaches, massage therapists and so forth. So when I graduated from my program I was like a fish out of water. Though I felt confident and ready to help people, I had no business skills and I had no idea how to get anyone to pick up the phone and call me. The first few years were challenging to say the least. I tried one thing after another – placing ads in local publications, giving public talks, doing health fairs, networking in my community and that was all beneficial. But it wasn’t enough. I never really had a specific plan for what I was doing. That is, until I worked with Margaret Floyd. I found Margaret’s NTP Business Class online and I was impressed with the range of business subjects the class offered. I felt like it was just the thing I needed. At that point, I had nothing to lose and I looked at it as a small investment in my practice. So I signed up with Margaret and it turned out to be a life-saving decision. Well, maybe not life-saving literally speaking. But definitely practice-saving. How to start attracting more of the clients I really wanted to work with. How to structure programs to ensure longer term commitments from clients. How to set up programs for better client compliance. How to structure programs in different ways depending on client needs and goals. How to create and manage paperwork like intake forms, program agreements, schedules and invoices. Besides practice management, improved client communication skills and efficient office management skills you will also learn how to market yourself and I cannot overstate the importance of this. I know that makes so many people cringe! Most wellness practitioners are not comfortable with self-promotion. But I promise you, you CAN learn to market yourself with integrity and honesty. Contrary to popular belief, it can actually be enjoyable. In this day and age of instant communication, you must must MUST have effective social media skills. That means at the very least having a Facebook page, a newsletter and a blog. They are all vital tools to show off your knowledge and attract more clients. I know it can be overwhelming trying to understand the world of social media but I assure you, Margaret is a pro. Of course, this is all just the tip of the iceberg. There’s so much more you’ll learn from Margaret’s online NTP Business Class. Now I’m not going to lie to you. It does take work. You can’t just wave a magic wand and expect results. But instead of shooting in the dark like I did for years, you’ll be guided step by step through a proven business formula. And you can proceed through the material at your own pace. At the end of the class, you’ll have a customized plan specific to YOU. That’s the real purpose of Margaret’s class. We’re all different with varying passions and interests. This is not a one-sized-fits all class nor is it just for NTPs. Margaret purposefully structures things in a way for each individual person to create their own specific business plan be it an NTP, health coach, massage therapist, fitness trainer, etc. That’s certainly the biggest benefit I got from working with Margaret. As a result, I now have not only a more profitable practice but also a more enjoyable one. And for that, I am infinitely grateful for Margaret’s NTP Business Class. It was worth every penny and I promise you won’t regret it.